Exceptional software leads to inquisitive minds. 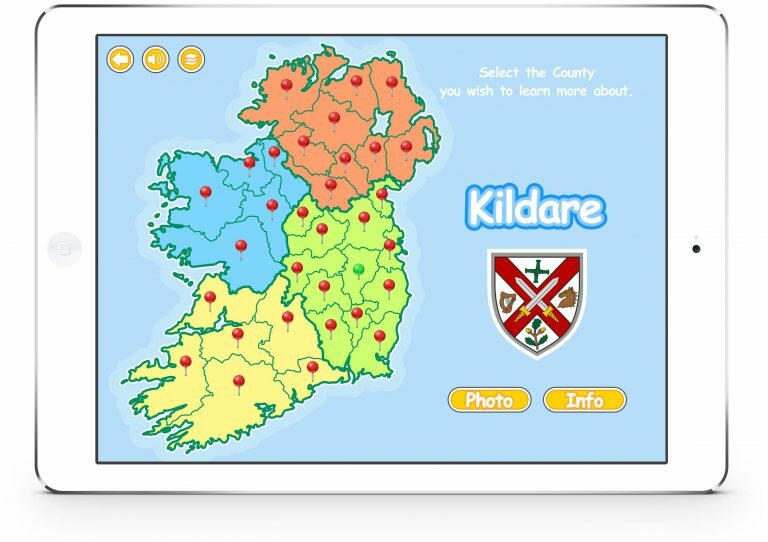 The Know Your Ireland App for iPad and Amazon Fire is a great game for learning all about Ireland. 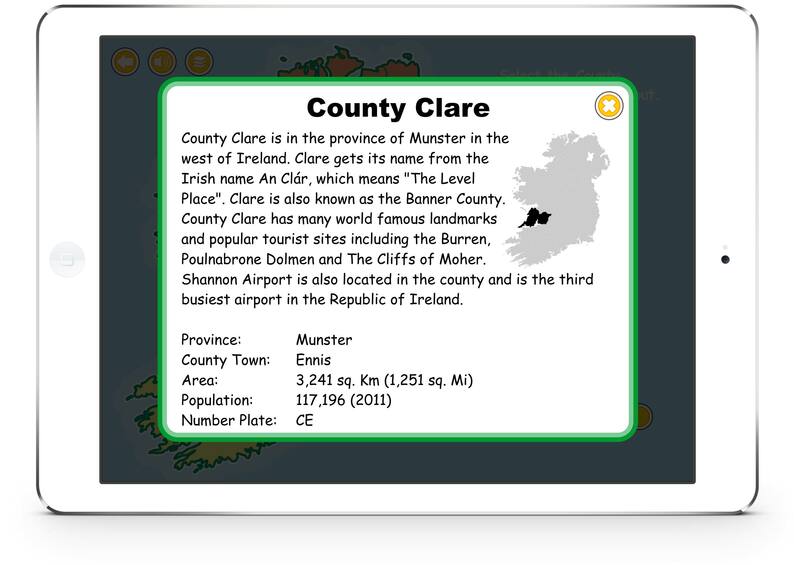 Learn about the provinces, counties, towns, mountains, rivers and lakes of Ireland. 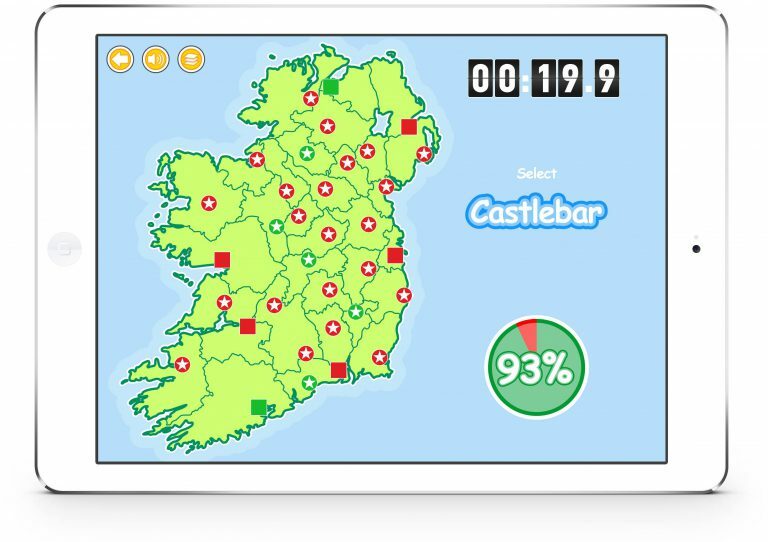 There is lots of information on each feature too in the Explore section, with great photos from each county of Ireland. 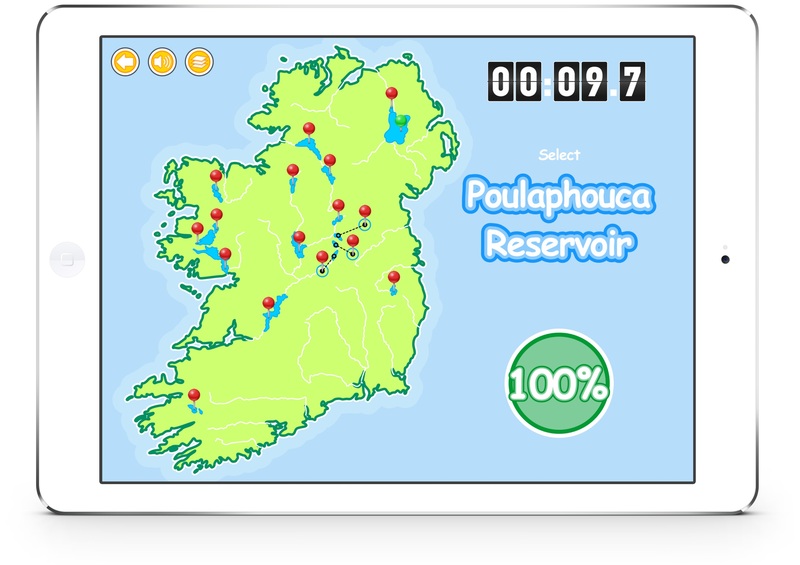 – Learn the Provinces, Counties, Towns, Mountains, Rivers & Lakes. 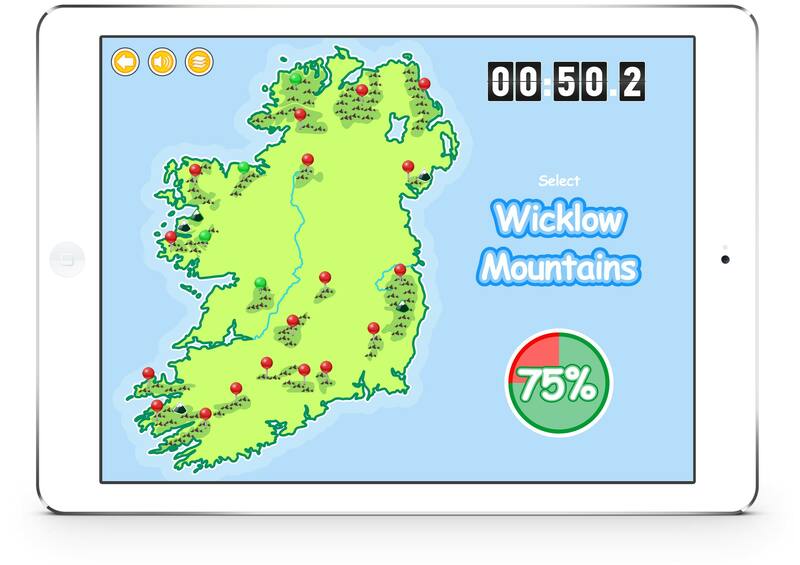 – A quiz to test your knowledge of Irish geography. – Explore each feature around Ireland. – Photos from every county Ireland. – Information on each feature. – Audio of each feature. Try our free trial of Know Your Ireland, enter your email address to begin the download, and install on your computer. Try our free trial of Know Your Europe, enter your email address to being the download, and install on your computer. Try our free trial of Know Your World, enter your email address to being the download, and install on your computer. Try our free trial of Know Your USA, enter your email address to being the download, and install on your computer. 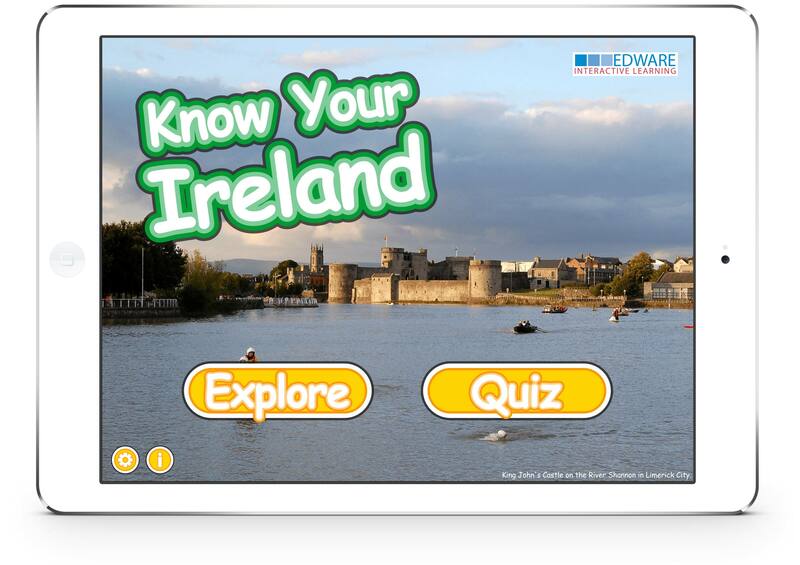 An updated version of Know Your Ireland is currently under development and will be launched in Jan 2019. Sign-up to the EdWare newsletter to find out more. An updated version of Know Your Europe is currently under development and will be launched by Feb 2019. An updated version of Know Your USA is currently under development and will be launched by November 2018. An updated version of Know Your Money: Level 1 is currently under development and will be launched by October 2018. The new version will support Windows 10.